My journey to interior design started with a love of stories. It’s what drove me to study literature at Kenyon College, and later set design, at New York University’s Tisch School of the Arts, where I earned an MFA. In my film and television career I’ve been fortunate to work on a number of great projects. For five years I was part of an Emmy-nominated design team for the Today show on NBC. I’ve also designed several films and art directed a number of television projects. This work is sometimes glamorous, always interesting, and has engendered in me a real attention to detail and research. But it’s interior design that gives me the most satisfaction. I absolutely love getting to know my clients so I can create a space that is tailor-made for their story. I start every project with the following questions: How do you live in this room? And how do you want to live in it? For I believe that spaces should not be precious. There are no unused rooms or untouched furniture in my designs. I encourage my clients to buy the best things that they can afford, but I always respect their wallets. I also believe that children and good design do mix. In fact, projects for young families are a favorite of mine. The work requires a keen attention to materials and finishes, and an ability to know both what will appeal and endure. And my experience with my own family makes me especially qualified to handle the needs of the youngest set. I know, too, that an office space need not be spare to be functional, nor boring to be professional. I love to create commercial environments that are a living embodiment of their brand, as well as beautiful and unique. I love sharing my ideas, too, both on my blog, and through my gig as a writer for Oakland Magazine. I'm a regular contributor on matters of interior design and style. At its best, a well-designed space improves the lives of the people who call it home. This is my motivation, and it’s what makes me love my job. I’m married to the creative director and illustrator Andy Pratt. We live in the San Francisco Bay Area with our young son and daughter. "We are very lucky to have Sarah in the East Bay. Her experience working in NYC is a rare find. She is professional but as a mother she is also practical when needed. She gently leads you in the right direction while understanding your style. But she also helps you make that bold choice when needed. You really can't go wrong with Sarah!" "My husband and I hired Sarah to redesign our dining room and we are thrilled with the results. We moved into the house three years ago and had never made good use of the dining room. We had a formal dining set that wasn't practical for our young family and a general lack of storage space. Sarah and her team did a great job of listening to our wish list, coming up with creative solutions to our problems, helping us define our aesthetic, and implementing a beautiful design. We couldn't be happier with the way it turned out. I would say Sarah has a special knack for designing a family friendly spaces on a budget -- and she and her team are a pleasure to work with!" "We worked with Sarah to renovate our in-law apartment unit which we use to host visiting family/friends and Airbnb guests. This was the first time for us using an interior designer. Sarah was extremely professional, she was quick to grasp our needs and came up with a plan that made sense. I can whole heartedly say that it was totally worth it for us to use her services. The whole unit came together in wonderful way and within our budget. We felt like interactions with Sarah were efficient and at the right "level". We provided high level (mostly vague) inputs about what we wanted and she translated them into specific and pragmatic design choices that worked with our house and our budget. We would definitely work with Sarah again for our next home project." "Sarah and her team are very professional and organized. They helped me from planning, design, purchasing, and receiving to staging and implementation. There are more than 30 revisions from original plan and the outcome is amazing. They are always patient and listened to what we needed. Everything was planned ahead and without exceeding the budget. Most importantly, her design is awesome and fulfilled what we were looking for. I am so pleased that Sarah and her team took on this project. I highly recommend them without reservation. Thanks Sarah and the team!" "Sarah is a joy to work with and has everything you could want in a design consultant. She has a terrific eye and is flexible, patient and resourceful. She took the time to work with us to get a good sense of our wishes and lifestyle, and brought her own style and creativity to create a terrific space for our teenage daughter. She kept our project on track with gentle persistence, staying within budget and improvising as needed. She has the skills and talent to handle projects large and small, combining good big picture thinking with the critical attention to detail that is so important in good design. I highly recommend her!" "Sarah is a delight to work with and is a real professional. She is conscious of the budget when offering ideas, and takes the time to consider many different options for the space. She is extremely knowledgeable about online and local vendors, does an amazing job of helping her client to visualize the design, and is very detail oriented. 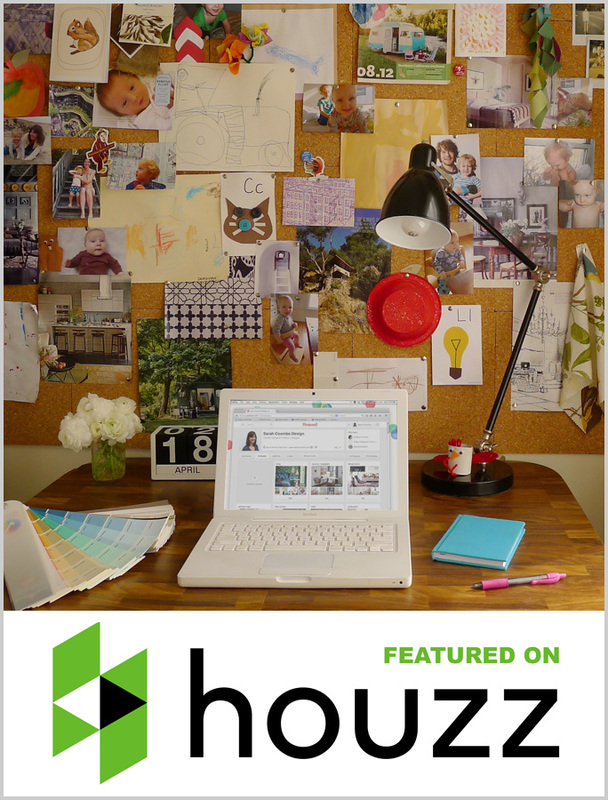 Sarah shows a true passion for her work which translates into a satisfying space. We love our new room!" "Coombs Design is great. It was my first time working with Interior Design firm, and Sarah made the process really easy. She was very transparent about the process, her questions were clear, and our conversations were always efficient. My primary need was a plan for my kitchen remodel that was much needed but I didn't want to overcomplicate it. But, in addition to the kitchen I really wanted our whole home to have a cohesive feeling and good transitions and she was great at helping with specific design challenges (like two kids sharing a small room) as well as clarifying my overall design sensibility. She was great at the actual design, as well as the structure to the project, and recommended vendors, products and methods. I highly recommend Sarah." "Sarah was awesome to work with. She picked up on my style and preferences quickly and came to me with options that fit my price range. She was also incredibly responsive and we were able to pull together a pretty big project quickly. We love our new living room and it's working well for all of the members of our family." "Sarah was recommended to me by a friend so I gave her a call. She came to my house and we had a great chat about my 'vision' for the room and how I planned on using it. Over the next few weeks, we worked back and forth on various layouts and decor. She was conscientious of my budget and worked diligently to stay within. She really listened to what I wanted and didn't push me into things I didn't like. Plus, she answered all my questions, and as a result I plan on applying new design knowledge in other rooms in the house! I'm happy to say that I because of Sarah, I now have the living room of my dreams in my forever house. I couldn't be more pleased."